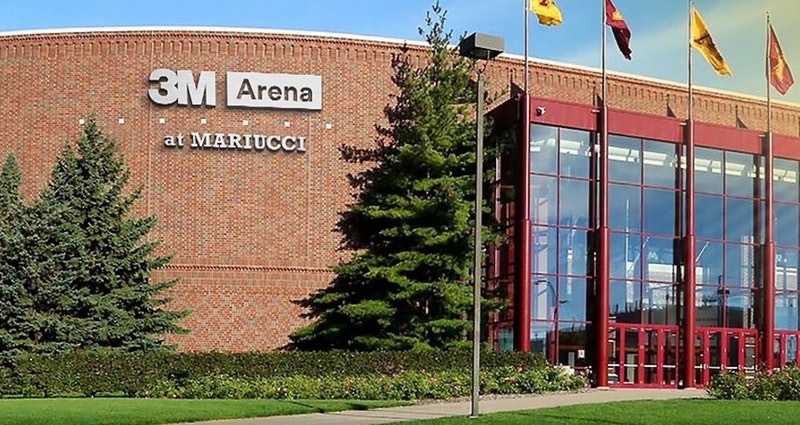 This entry was posted on Tuesday, July 11th, 2017 at 7:55 AM	and tagged with 3M, history, hockey, mariucci, photo, UofM and posted in Minnesota. You can follow any responses to this entry through the RSS 2.0 feed. I must have missed something [or my old age memory has forgotten], WHY was the arena sold? Sorry for the confusion: They sold the naming rights to the arena, not the arena itself. John Mariucci is known as the “Godfather” of Minnesota hockey, as an alum, I’m not thrilled that they are pushing aside their history for money. I think they could have come up with a better solution. I agree!! That has happened to many of our stadiums.